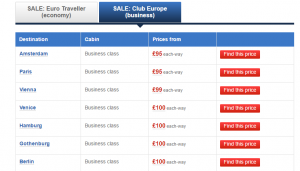 As Tom pointed out a few days ago, there are some good deals in the current British Airways Sale, including some excellent Club Europe prices to places like Malta. 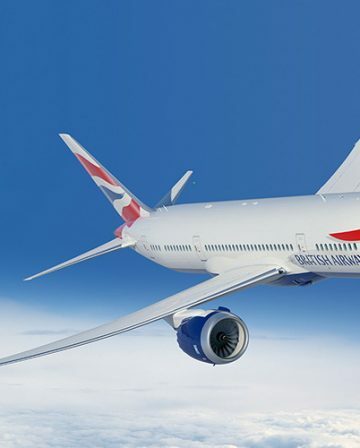 Combining the sale with BA’s temporarily boosted ‘part pay with Avios’ offer means that you can pick up British Airways Silver status for under £300.00! What is British Airways Silver Status, and why would I want it? 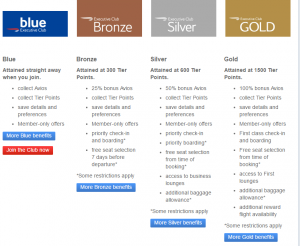 First things first, British Airways have four (main) tiers for members of its loyalty scheme (British Airways Executive Club) – Blue, Bronze, Silver and Gold. As you can see, Silver status is where things start getting interesting, as it equates to Oneworld Sapphire and grants you free lounge access when flying in Economy on Oneworld airlines, as well as free seat selection, additional baggage allowance and 50% bonus Avios. If you fly quite a bit in Economy on Oneworld airlines, having Silver status would make your travels considerably more pleasant! How do I get Status? – What are ‘tier points’? 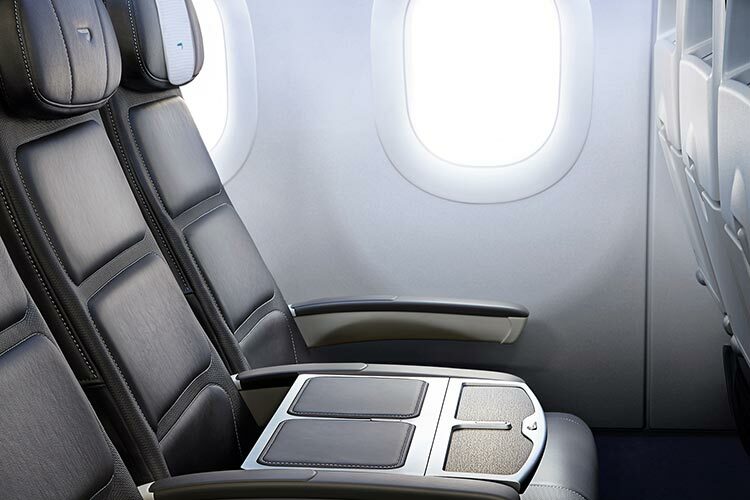 When you fly on British Airways (or credit other Oneworld flights to your BA Executive Club account) you earn both Avios (which you can redeem for flights) and Tier Points. The amount of Tier Points you earn in each membership year (365 days from when you signed up to BA Exec Club) decides what status level you have for the rest of that membership year and the next. So, for example, if you joined BA Executive Club today (19th June 2016), and earned Silver status by next month (July 2016), you would retain Silver status all of this membership year (until 19th June 2017), and next membership year too – so until 19th June 2018. 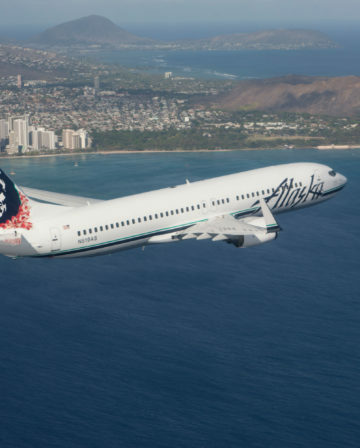 The number of tier points you earn per flight is determined by the distance, the class of travel and the fare bucket. It’s a bit complex, so BA have a calculator to help. As a basic rule though, flying in Economy won’t get you very many tier points at all (unless you happen to book into expensive flexible fare buckets). To earn meaningful amounts of tier points, you need to be travelling in Business Class really, and BA’s relatively cheap short-haul ‘Club Europe’ fares are a decent way to rack them up. The slightly longer short-haul routes to places like Helsinki, Athens, Istanbul, Marrakech and Malta are of particular interest because they earn 80 tier points each way (160 Return) in Club Europe, as opposed to just 40 each way (80 Return) for shorter flights. Head For Points has a useful list of which Club Europe routes earn 80 tier points here. British Airways Silver status requires earning 600 tier points in a membership year, so 4 Club Europe returns to any of the destinations that earn 80 tier points each way would be more than enough (160 x 4 = 640). 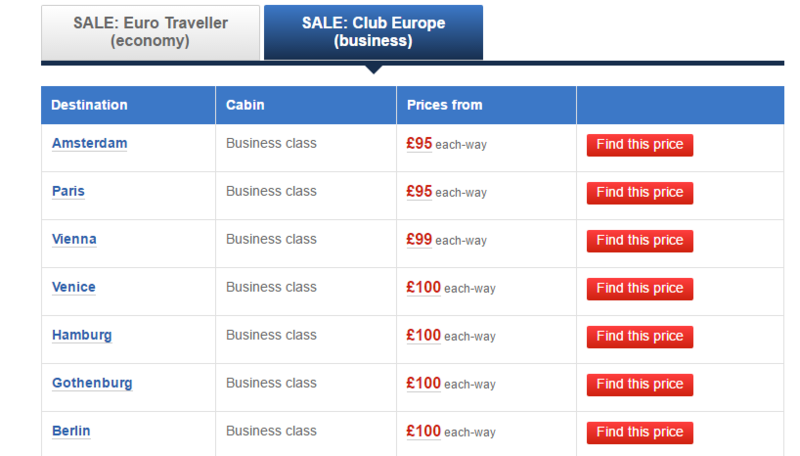 There are some good Club Europe prices in the current sale, starting at under £100.00 each way. Even better is that there are fares to Malta for just £111.00 each way – and flights to Malta earn 80 tier points each way. In other words, four Return flights to Malta in Club Europe will earn Silver status for ~ £888.00. Running alongside the the current sale, BA have once again boosted the discounts they offer for using Avios towards the cost of flights. You can normally use 15,000 Avios to save £100.00, but until 12th July, that is boosted by 50% to £150.00. Using the Malta example from above then, using 15,000 Avios brings the price for Return flights in Club Europe down to just £71.52! That is a remarkable deal in itself, when you consider that to book the same flights as a normal Avios redemption would require 34,000 (off peak) or 40,000 (peak) + £50.00! 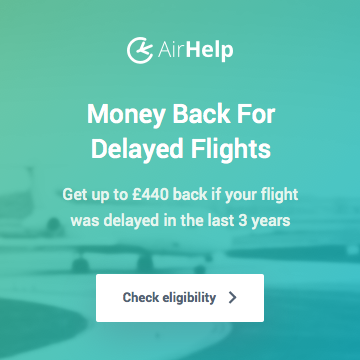 It’s actually even better than that though because you earn Avios back on paid flights, even when part paying with Avios, which you do not on normal award flights. 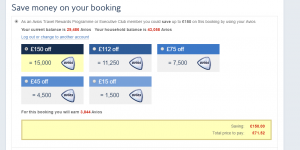 As you might be able to see at the bottom of the screenshot above, a British Airways Executive Club member without status would earn 3,844 Avios for a Return to Malta in Club Europe. Bronze status would be earned after the second Return though, so the second two Returns would get 25% more Avios – 4,805. 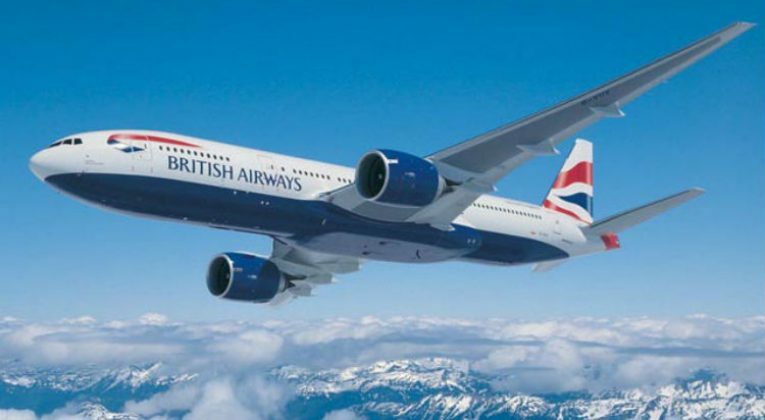 The total cost for British Airways Silver status would therefore be £286.08 + 42,702 Avios (60,000 – 17,298). 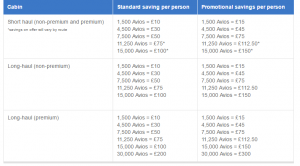 If you want Silver status but don’t have that many Avios (or value them at more than 1 pence each), you could pay the full price of £886.08 and earn 17,298 Avios. 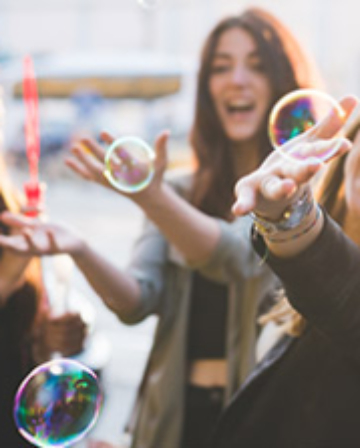 Alternatively, you could choose to do something between the two extremes – the ‘Avios neutral’ option (where you earn back the same number you spend), would leave you about £710.00 out of pocket, for example. 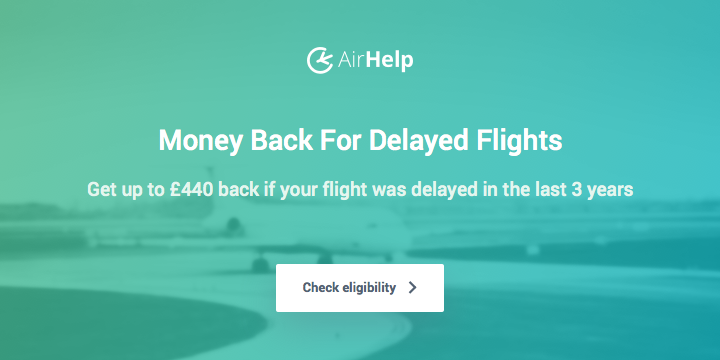 The sums work out even better for people who already have Silver or Gold status and are looking to requalify, because of the Avios bonus that comes with status. A Silver member (50% bonus) would earn 5,766 Avios per Return, so their net cost would be £71.52 + 9,234 Avios per Return. A member with Gold status would earn 7,688 Avios per Return, so their net cost would be £71.52 + 7,312 Avios. Yeah, I actually completely agree – but believe me when I say people have gone to much greater lengths! I’m not seriously recommending this as a way to earn status from scratch, but a quick trip to Malta is always great and the price is really good – if it meant earning enough tier points to push you up to Silver too then that’s an excellent bonus. If you are tempted to earn status from scratch in this way, personally, I would have a look at what other Club Europe routes are cheap in the sale too and maybe plan some long weekends in a few different places! As someone who regularly has to pay >200 pounds for a one-way to Malta, I would love to partake. The problem is that I don’t have the luxury of booking ahead. I am 80 tier points short of renewing Silver. I have a couple of months left of my earning year. If I really run out of time, I will book a weekend CE trip to a short haul destination, or a couple of day trips to EDI (whilst clicking on earn full tier points). I’m sorry to read about your long illness and hope you’re feeling better now. I think it’s sad that BAEC cannot suspend or extend Tier Point earning years in exceptional circumstances. As a very recently first time qualified Gold Guest List and Concorde Room card holder by virtue of hitting 5,000 Tier Points this year, I have 2 x BAEC Silver and 1 x BAEC Gold partner cards to “gift”. If you would prefer to avoid the inconvenience of Tier Point running and you’re interested in one of these cards, you can mail or skpye me at r av ma nn at out look do t com (remove all spaces). I would rather my partner cards go to people who will actually use them and for us both to benefit from the ridiculous amount of travelling I’m doing! When I say “gift”, I expect something in return. This article is a little misleading. Somewhere in the middle of it, the true cost is stated “The total cost for British Airways Silver status would therefore be £286.08 + 42,702 Avios”. So, if as most people do, you value 1 BA Avios at 1p, the cost would be about £713, plus the not inconsiderable amount of time and inconvenience of Tier Point running. What sort of reward were you looking for ? I’m on the market looking for silver. Hi If you still have I would be most I interested in a Partner Card. It’s for one of my staff – we need the extra luggage Silver Status gives. 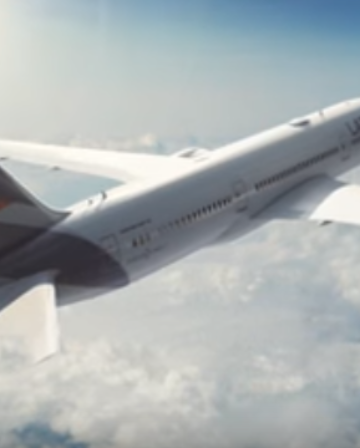 You should earn 140 Tier Points per flight in long haul Business. 600 is required for Silver. However I’m not sure why you say that “tier and avios points go to the family”. Even if you have a Household Account, each individual continues to earn their own Tier Points. If you Upgrade using Avios with the aim of higher tier point collection, I do not believe you will get the benefit of the higher cabin class. Be careful business travellers – In my view BA is doing its best to stuff their loyal flyers and favour the bloated businesses where cabin class is not relevant. The BA terms and conditions page clearly says ‘Tier Points’ will be awarded according to the commercially purchased ticket price. When you Upgrade Using Avios, you indeed earn Tier Points based on your purchased ticket, although in my experience it won’t post automatically and you need to chase. 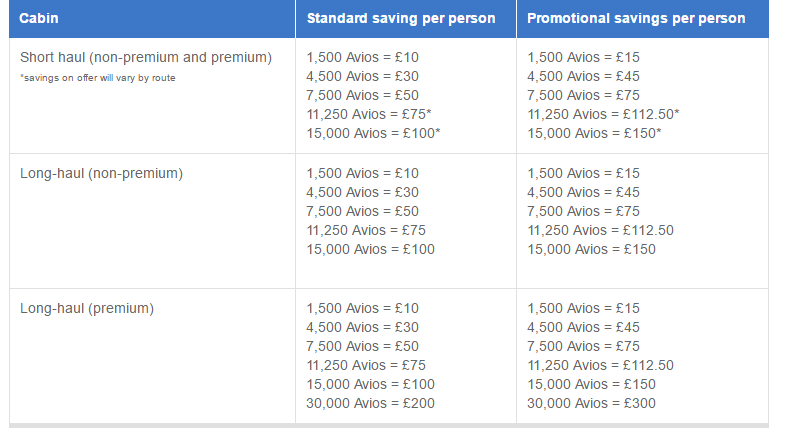 This post is about something different… part paying with Avios – although it only really makes sense during a promotion. When you part pay with Avios you are actually getting a full revenue ticket, so will receive full Tier Points. I think this thread just shows how deeply flawed and unfair most customers feel the BA current system is. In addition to the nonsense of Tier points and the seemingly unusable Lifetime Tier points, Avios are points are really hard to use with tight restrictions on the number of seats available. The “exchange system” for them is also unfair (try buying a coffee with Avios on European flights where meals now have to be purchase and compare with “buying” flights or other items to see the extent of the ripoff). Hello does anyone have a BA gold card guest list cards either Gold or Silver? You only are given these if you you earn 5000 tier points, I’m happy to pay for one!